Lots of good things are happening at Hope for Ariang. We are happy that you have offered a helping hand and helped the foundation achieve a lot. This year, we have embarked on a mission to empower some teachers of Ariang Primary School with some extra training and coaching. 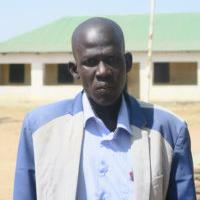 The Ariang school (and South Sudan as a whole) has an acute deficit of trained teachers. We have taken it upon ourselves to do a teacher training program so that the kids of Ariang school can access quality education. 6 teachers have been chosen to participate in the training; these teachers will be equipped with the necessary knowledge and skills for doing their work. Who are these teachers? What is their current level of education? What inspires them to teach? What challenges do they face? Let us get to know them. He teaches Science in primary 5 and 6 and Mathematics in primary 7 and 8. 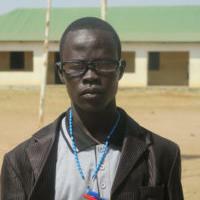 He has taught at Ariang Primary School for 2 years and holds a high school certificate and has basic computer training. He started college education in Uganda where he was pursuing a certificate in clinical medicine. He, however, did not finish his studies due to lack of fees. He traveled back home to share his little knowledge at Ariang Primary School. Ajang shows strong commitment to the school. His positive rapport with students is evident to others. He is often seen walking the school compound interacting with students and giving motivational “pep talks” at school-wide assemblies. Teaches Mathematics, Scince and Social studies in primary 7 and 8. 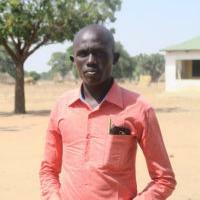 He has taught at Ariang Primary School for 2 years. He has not completed senior 4 and, therefore, his highest level of education is high school. He has not taken any teacher training and neither has no any other form of formal training. Bol demonstrates a thirst for learning and knowledge. He loves to read and wants to inspire his students to become life-long learners. James teaches primary 3, 5, and 7. He has completed high school and has a diploma in theology from Christian Leadership Institute. He has basic computer training. James prefers teaching the younger classes and event enjoys singing with his students. He is also very active in Ariang’s local church. 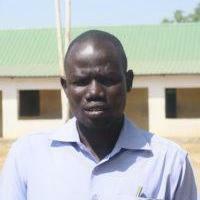 Majak teaches Science, Christian Religious Education and Social Studies in primary 5, 6 and 8. He attended school at St. Augustine Secondary School in Kuajok. He has been teaching at Ariang Primary School for 6 years now. 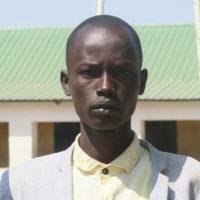 He holds a South Sudan Secondary Certificate and has basic computer training. William teaches English, Christian Religious Education and Science in primary P1, P5 and P6. He has taught at Ariang Primary School for 3 years. His highest level of education is senior 2. He is currently enrolled as a senior 3 student, which means after teaching, he spends his evenings doing his own personal studies. 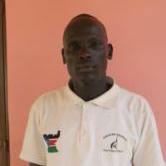 Other training institutes he has attended are Logo seed and South Sudan Red Cross. While his level of education is the lowest among the fellows, William was chosen to participate because of his strong leadership potential and commitment to Ariang School. On most days, you are likely to see William leading the singing at school assembly and interacting with students when he is not teaching. Samuel teaches Science, Math and Social Studies in primary 5, 7 and 8. He has been teaching at Ariang Primary School for 8 years. He has a high school certificate and has also attendedRombuor National Teachers Training Institute and National Teachers Training Institute. He is currently the school’s Headteacher. You may be asking, WHERE ARE THE FEMALE TEACHERS? At HOPE for Ariang Foundation, we know the importance for having female role models for our girls. Finding qualified female teachers, however, is a real challenge in South Sudan! We are working hard to make sure that we can find excellent female teachers and staff members to bring onboard in the near future and believe that in the next five years the male to female ratio will significantly change as more girls have opportunities to complete their education in South Sudan. To sponsor a teacher, please click the donate button below and leave us note in the Paypal checkout section.